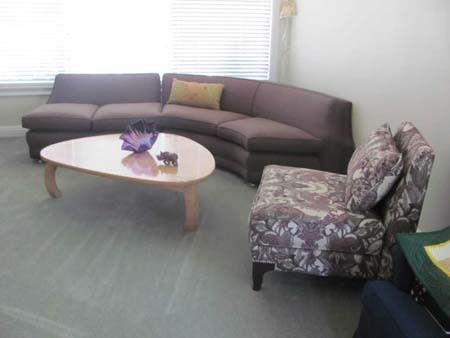 Artistic Upholstery OC has been part of the La Habra community for over 40 years. Founded by Ambrosio Aguirre, son Victor Aguirre took over the upholstery shop in 2010, keeping it in the family, ensuring customers who purchased from Father received the same great service from Son. Being family owned and local, our family reputation is important to us. We adhere to generations of expertise; custom workmanship and quality has been a cornerstone to our success in furniture upholstery, re-upholstery, restoration work, and furniture manufacture. That’s why continue to offer “A Lifetime of Satisfaction” not only on our current workmanship but on all of our workmanship. Artistic Upholstery OC wants you to be completely satisfied with our work and, will do our very best to see that your project, no matter how large or small, will be completed on time, on budget, and to your satisfaction. We stand behind our work to ensure that your family heirlooms can be passed down to future generations. A one-time, free “Restore & Refresh” of cushions and pillows within 10 years. 3 Years satisfaction guarantee on Artistic Upholstery’s workmanship on seams and mechanical fasteners. “Lifetime Trade-In” on any furniture manufactured by Artistic Upholstery towards an in-store credit for new pieces. A one-time, free “Restore and Refresh” of faded or damaged drapery linings within 10 years. 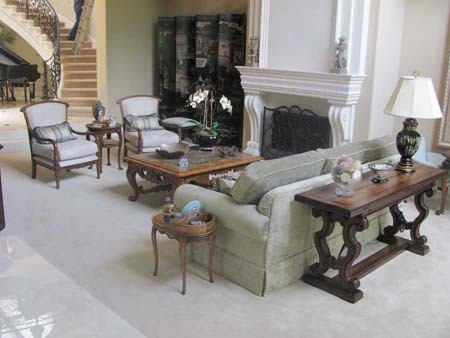 Artistic Upholstery is dedicated to providing exceptional quality products and experiences. Our “Lifetime Satisfaction” reaffirms our commitment to our customers. In addition to offering new custom furniture, the Artistic Upholstery expert staff will help you assess the practicality of keeping family treasures and great finds alike. All furniture restoration is done with careful attention to the details of each piece of furniture and with respect to its original method of production and structural integrity. If you have any questions regarding our upholstery company please don’t hesitate to connect with us. 1. Full inspection of the structural integrity of frames, springs, and reinforcements. 2. Reasonably replace corroded and damaged mechanical fastners. 3. Inspect for deteriorated glues and adhesives needed for rigidity. 4. Inspect wood components for dry-rot and other nature-borne defects. 5. Minor cosmetic repair of exposed wood surfaces that are cracked or chipped.